When you’re in the Pacific Northwest, everybody goes camping. But sometimes you want a bit of a break from the “roughing it” part, and that’s why we are such fans of glamping. We stayed in this awesome Airbnb along the Columbia River Gorge that came complete with modern fireplace, an outdoor shower, and an amazing teepee. There’s something so amazing about going to sleep in a comfortable queen size bed, but still breathing in the fresh air of the outdoors. This teepee gave us both, and it was the best feeling to wake up in the morning and see the beautiful woods and mountains around us through the opening in the teepee. So magical! The “living quarters” are great too! With a hot plate, mini fridge, and stunning view, what else could you need with your morning coffee? If you’re thinking a rooftop patio, they have that too. Having a hot shower in the middle of woods was worth the stay alone! We love staying in Airbnb's, so we're sharing some love with you guys! 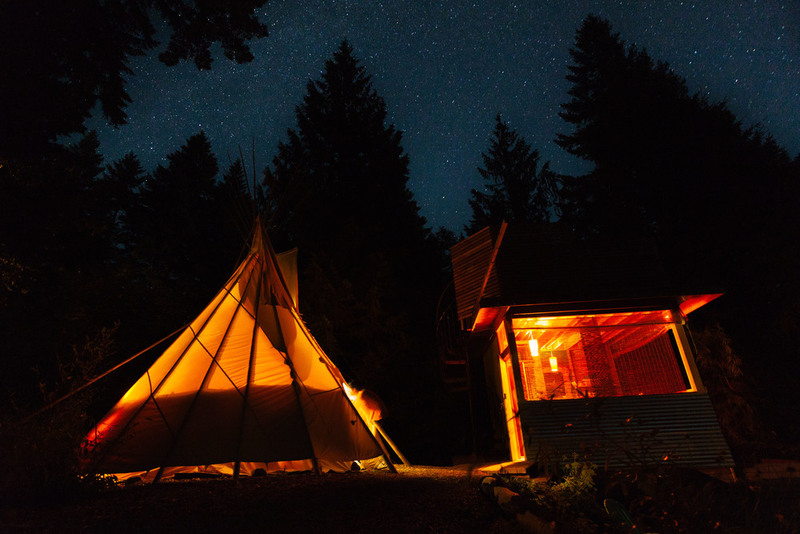 If you're inspired to find your own teepee oasis, use this link to get $20 off your first stay! Hurrah. Follow the rest of our Oregon trip with the #WellStoried tag on Instagram!